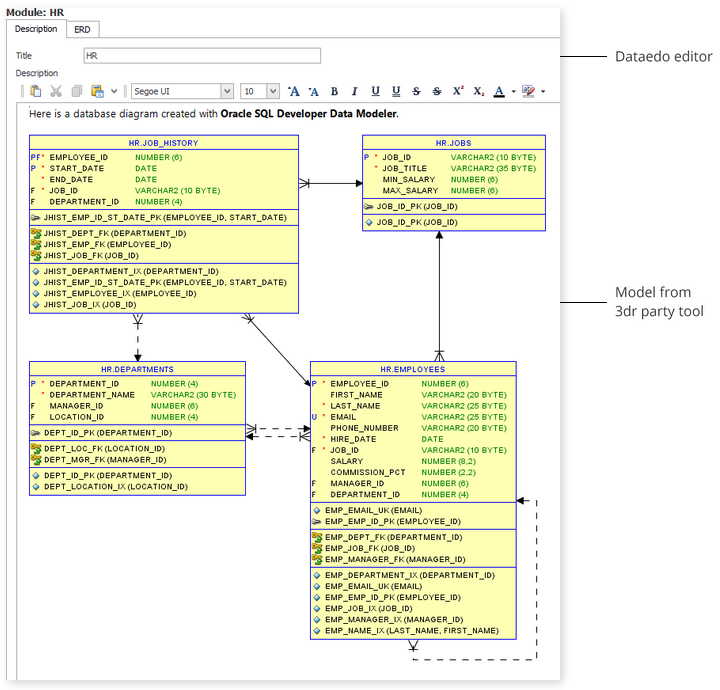 Dataedo enables you to create documentation using rich text edit controls. You can easily paste content from documents and websites without losing formatting. 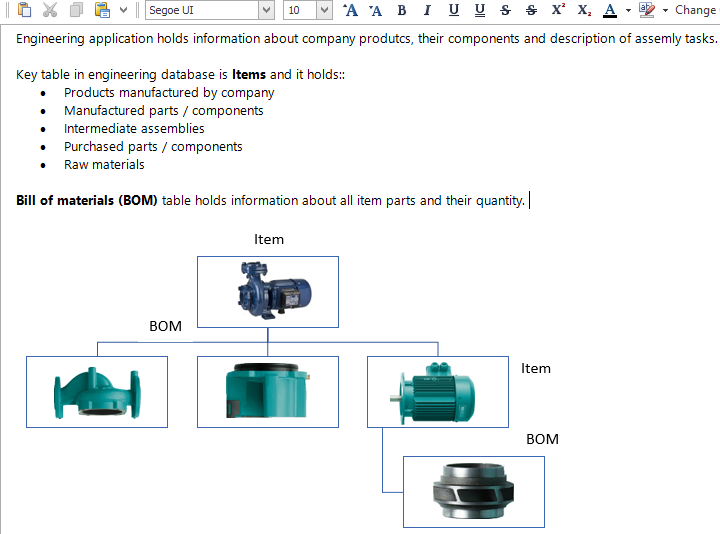 Include in your documentation diagrams and images you already have.